The Uists are the central islands of the Outer Hebrides. My family adventure around them lasted only a few hours, but I wanted to take a second to fill you on where we made it to. 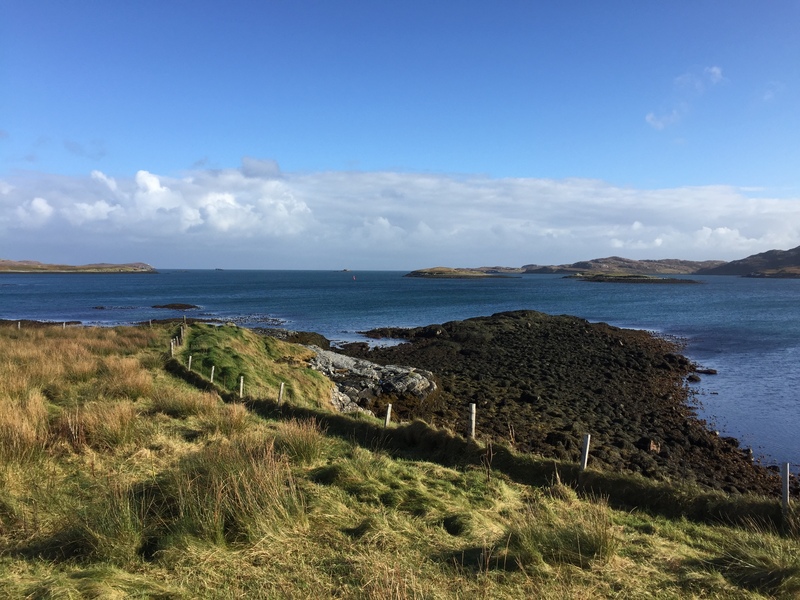 Firstly, the ferry ride from Leverburgh (Harris) to Berneray on North Uist (which takes 80 mins), was one of the most memorable ferry rides EVER. Why? Because we sailed through a complete rainbow! 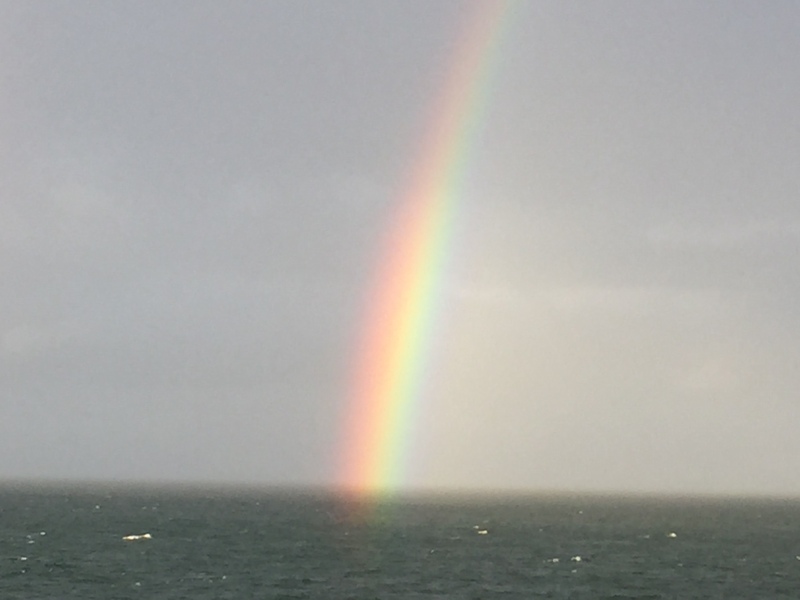 It was the most beautiful and brightest rainbow I have seen and the first complete one at that. 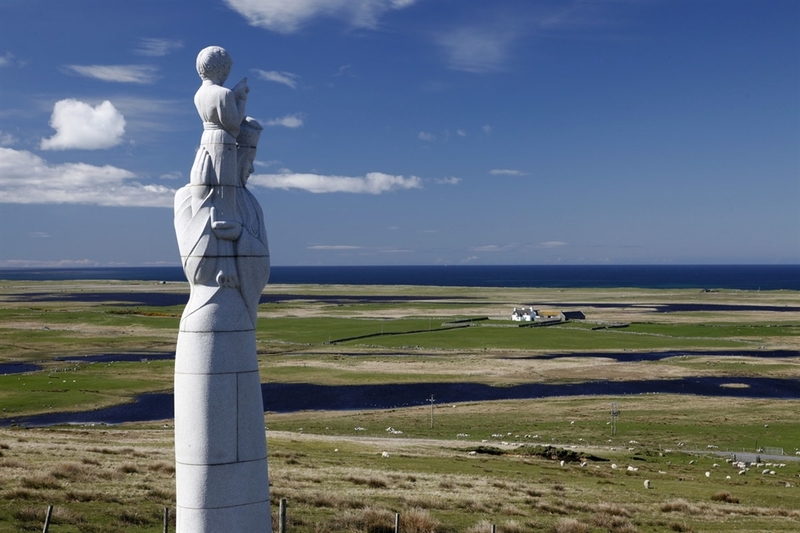 This had stand out meaning to my mum and I, as my papa’s family were originally from Lochmaddy on North Uist and we were making the trip especially to visit the area. You are either this way inclined or you aren’t, but I swear my papa was looking down on us that day. 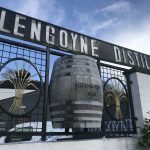 Just a side note if you haven’t yet read my posts below on the tour of Lewis and Harris – my family and I used Calmac ferries to island hop around the Hebrides. We did so on a Hopscotch ticket, which can be purchased here. This was the best pic I could get due to the rain and sheer scale of the rainbow! The weather wasn’t the best the day we visited these islands, but we ventured on regardless, hoping to see as much as possible before catching the ferry over to Uig on Skye later in the afternoon. A major regret however was not visiting the beaches these islands are renowned for. Although raining, it still would have been amazing to see the famous white sands meeting the turquois waters at the various stops along the coastline. 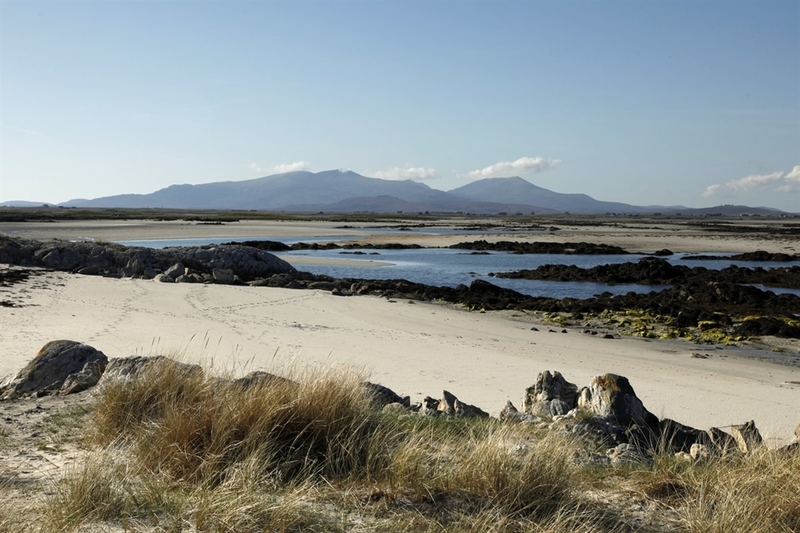 Nestled between Harris and Benbecula, North Uist is famous for its landscape permeated with peat bogs, lochans and its beaut beaches. It is also home to the largest breeding colony of seals with over 9000 being born every year, so be sure to keep your eyes peeled. 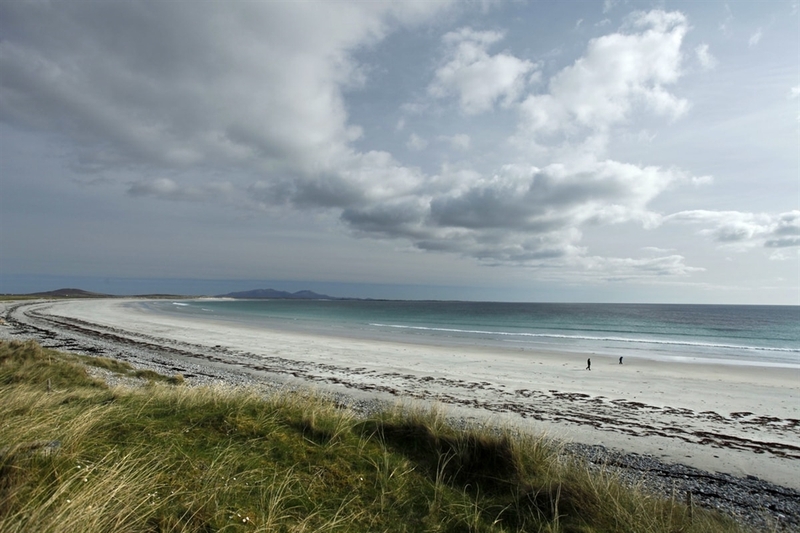 Lying between Barra and Benbecula, South Uist is a larger island than its northern counterpart. 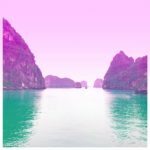 The island has a Ying and Yang vibe, with the East being mountainous and the west being beachy (think dunes and flowery machair, very romantic scenes indeed). The small island of Benbecula lies between North and South Uist. Causeways link the islands and similar to North Uist, it is the lochs and lochans which command most of the landscapes. A visit here will also see you enjoying some gorgeous beaches, again with sand dunes and beautiful machair. A nice place for a pit stop is the Island Deli in Benbecula. 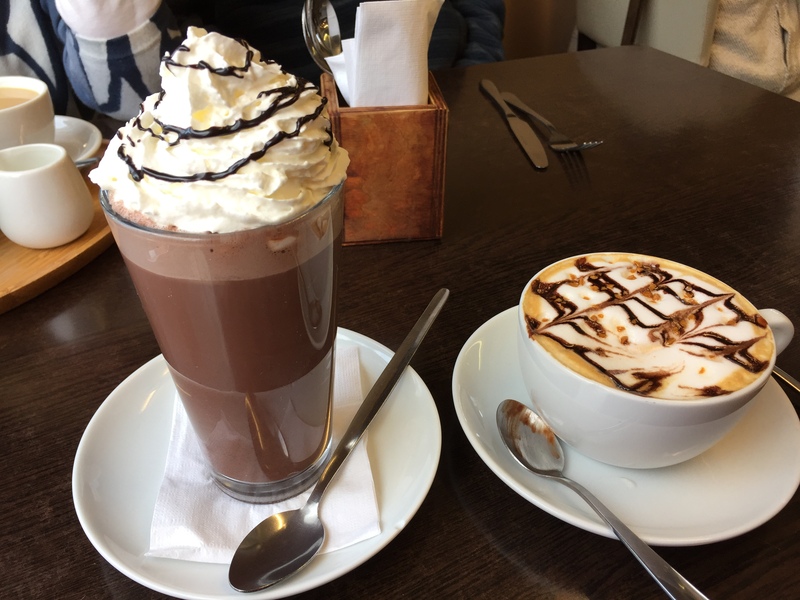 Serving an array of baking, sandwiches, paninis and baked potatoes, alongside many different flavours of hot chocolate and coffees -this was the spot recommended to us by the folks at Salar Smokehouse. The Lochmaddy Hotel bar was Haggis friendly, which was nice as it allowed us to have a toast to my papa (what with this being his family local back in yon day). However, the Island Deli and smokehouse (understandably for Salar) were not. 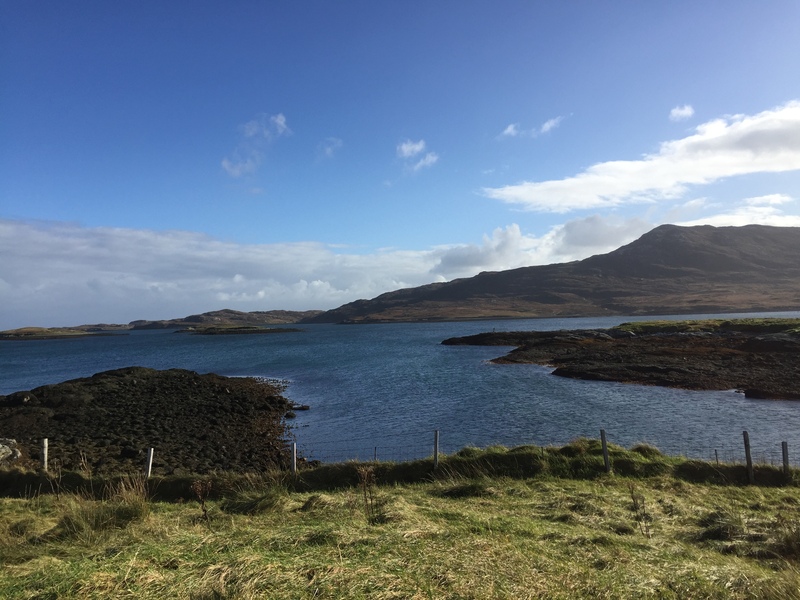 If I was asked to compare the Uists with the Isle of Lewis and Harris, I would have to say that Lewis and Harris had more stand out scenery for me and perhaps slightly more things to do (especially with the island being the hub of Harris Tweed). That is not to say however that the Uists are not worth a visit. If you do go though, make sure you hit the beaches! Next up the conclusion to the trip, the Isle of Skye!